Don’t get me wrong. I hardly watch movies, let alone going to cinema. However after reading many rave reviews of the latest installment of James Bond, I couldn’t contain my curiosity but to watch it. Last Saturday, I took my wife (yes, without the kids!) to watch Skyfall at a cinema after, God knows, how long. To my disappointment, it turned out that I didn’t like the latest 007 movie. Despite what I feel about the movie, I still have something to learn from Skyfall. 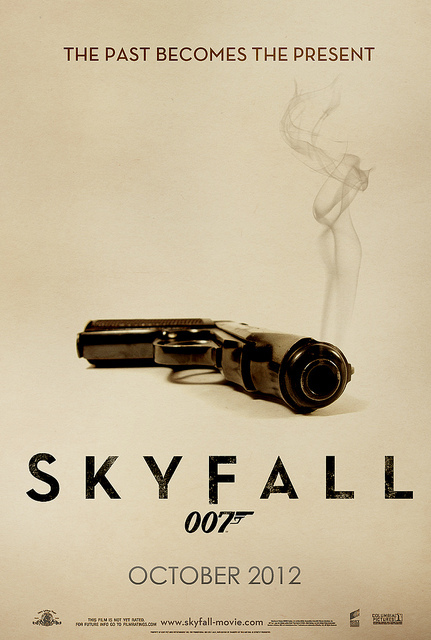 When I think about Skyfall on a deeper level, the movie strikes a chord in me. The main point of the spy movie is older people aren’t necessarily outdated. And going back to basics is something we should do more of. Stripping of the latest technology (a.k.a back to basics) is the approach used to nail down the villain in the movie. James Bond did not use any high tech weapon to kill the bad guy except an old fashioned ordinary knife. Parenting is the same. You don’t need the latest toys, gadgets, or classes to be an effective parent. What you need is going back to basics: the fundamentals of human relationships and interaction.